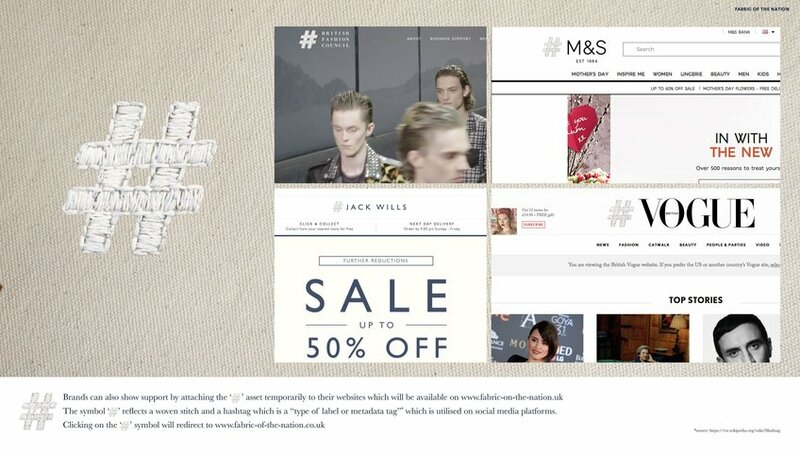 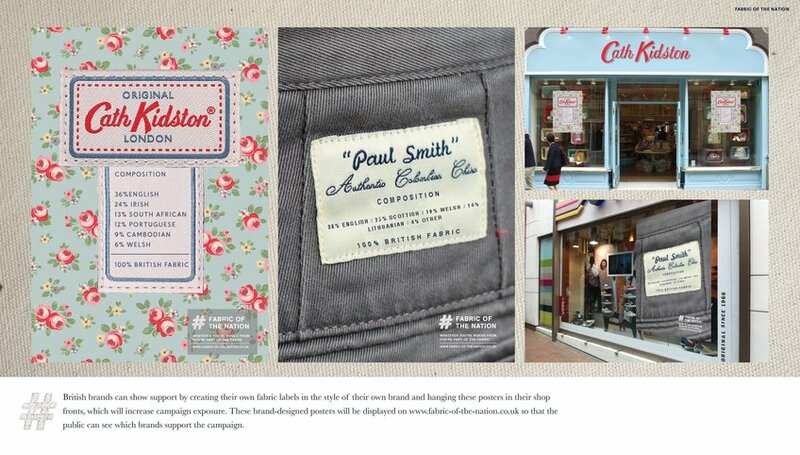 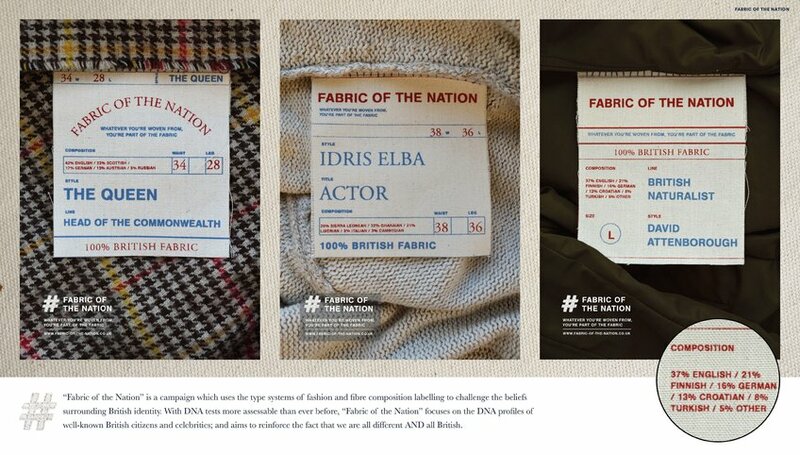 'Fabric of the Nation' is a campaign which uses the type systems of fashion and fibre composition labelling to challenge the beliefs surrounding British identity. 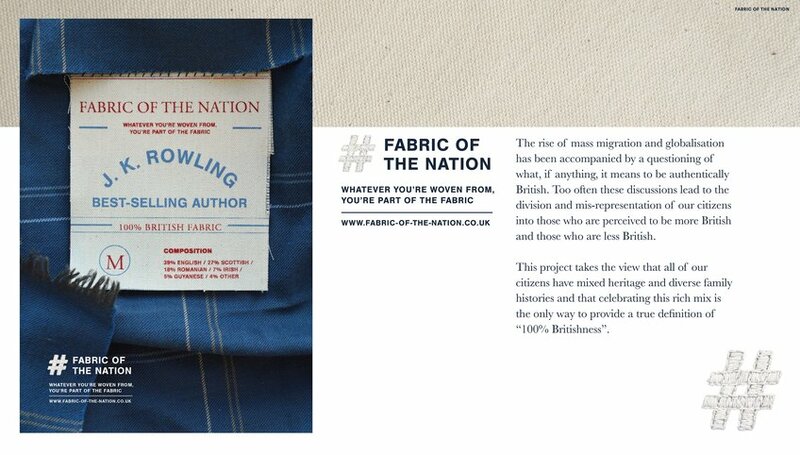 The rise of mass migration and globalisation has been accompanied by a questioning of what, if anything, it means to be British. 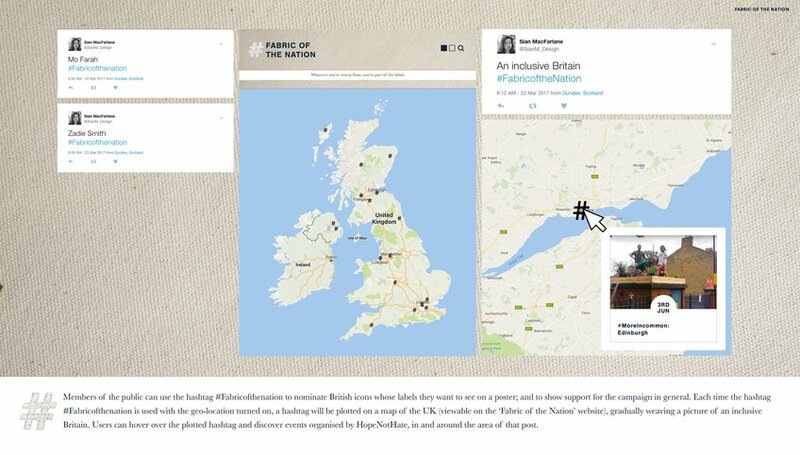 Too often these discussions lead to the division of our citizens into those who are 'more' British and those who are 'less' British. 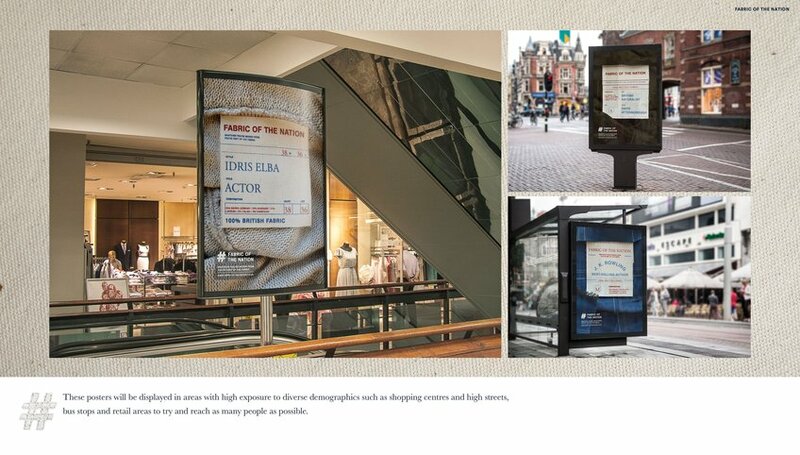 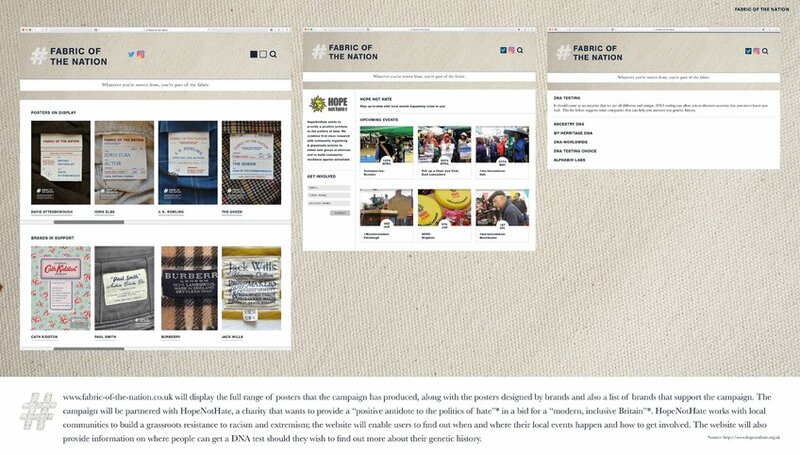 'Fabric of the Nation' focuses on the DNA profiles of well-known British citizens and celebrities; and aims to reinforce the fact that we are all different AND all British.